This was my attendee’s card for the SunNetwork conference 2003 in Berlin. 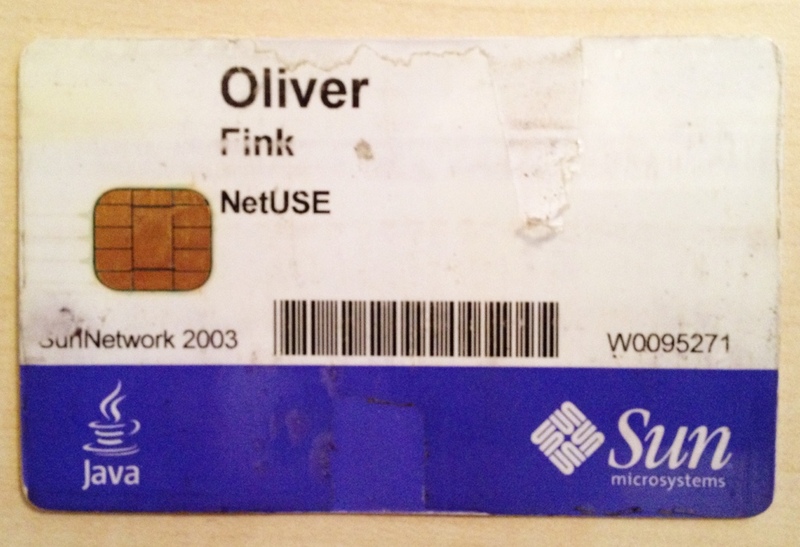 It had been used for years as my access card to our Sun Ray Servers and is still in my wallet. Nearly loved to death. Federal and State laws, as well as industry regulations, are major drivers in the security industry, and none are probably more far-reaching and controversial than the Payment Card Industry Data Security Standard (PCI DSS). Here, Fortinet provides an overview of PCI DSS and what you need to know about this regulation. Layered security combines multiple security measures to make sure that you don’t have all your security eggs in one basket. This protects you from different sources and different types of threats. There are a few different models out there for layered security. The one we’ll be using has seven distinct layers. Below you’ll find a brief description of each layer, followed by a list of the relevant Fortinet features. A good way to get a very short introduction to this topic.